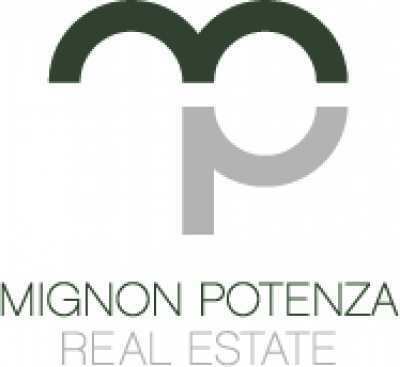 The website "www.mignonpotenza.com" along with the related sub-domains, which contain the extension mignonpotenza.com (hereafter referred to as "Site") are owned and operated by Donna Lorraine Melanie Mignon trading as Mignon Potenza Real Estate (hereafter referred to as “MPRE”), with headquarters in via Amendola 199/A, Bari, Italy. Tel. +39 328 433 6168, - info@mignonpotenza.com P.iva 01749220720, chamber of commerce membership registered in Bari No 535900. These general terms and conditions (Terms & Conditions) for use of the Site, together with the privacy notice and other notes and conditions published on the Site, govern the access to and use of the Site, by the User and constitute a binding agreement between MPRE and the User. User refers both to the user: who accesses the website, that publishes content, adds contributions, advertisements or posts on the Site and or who uses the online services of mignonpotenza.com. In addition, when a user uses specific services offered by MPRE there could be, in addition to these Terms & Conditions, additional regulating conditions in force, for those specific services. The information on this site cannot be considered under any circumstances as a substitute for professional advice on either legal, financial or property matters. The User shall be solely liable for the use that they make of the Site. MPRE is solely responsible for maintaining the site but does not guarantee the accuracy, veracity, lawfulness, or reliability of the information contained in the Site and the results obtained through access or use of the Site. Without limiting the aforementioned, the User also assumes all responsibility for any damage that may result to their computer system because of its access to and use of the Site. MPRE, its directors, officers, administers and agents accept no liability for any loss or damage, direct or indirect, caused to any recipient who has relied on any content on the Site. MPRE reserves the right to engage in any action deemed appropriate in order to prevent any access or unauthorized use of the Site, including, without limitation, creating technological barriers, communication of the User's conduct to the competent authority or withdrawal of access to the Site, without notice, if the above provisions have been violated. The content posted on or accessible through the Site are protected by laws on copyright and industrial property. MPRE is the owner of the site, the pages of the Site and the information and elements contained in it. Unless authorized by a MPRE, the User may not reproduce, modify, reverse engineer, distribute, copy, and distribute or disseminate any of the information or the above-mentioned items. MPRE does not provide any guarantee of continued access, correct visualization, download or use in any other way, of the elements and the content of the Site, subject to interruption for causes and factors independent from MPRE. For your convenience the Site may provide links to carious other websites that may be of interest to you. However MPRE does not control such websites and is not responsible for the content nor is it responsible for the accuracy or reliability of any information, data, opinions, advice, or statements contained within such web sites. MPRE is not responsible for the information and / or content on third party sites, accessible via the Site. MPRE assumes no responsibility for the information, content, products and services offered through third parties Websites. MPRE and third parties, that provide services and or information, disclaim any responsibility for any damage, loss, claims or expenses presumably sustained following access or lack of access to the Site as a result of the misuse of it, following any viruses or illegal program or, finally, as a result of poor usage or non-use of updated versions. The Site may include content, advertisements, hyperlinks and references to other sites. These third-party sites are not owned by the Site and are not under the control or responsibility of MPRE. The moment you access and browse on these sites, the User acknowledges that they are abandoning the Site at your own risk. The advertising displayed on the Site does not imply endorsement or recommendation of the same by MPRE. "Contribution" relates to any opinion, post and or social activity that every member can make in relation to any property, their own or belonging to others, visible on the site. This refers to all the information released including data, text, video, photographs, audio or other material that MPRE has granted to the Users to share, publish, upload and / or store on site, in accordance with the Contract. MPRE will allow Users, according to the terms and conditions, to contribute contents to the Site. The user is solely responsible and accepts full responsibility for all Contributions included in the Site. MPRE declines any liability with regard to the Contributions. The User acknowledges that MPRE performs no checking on Contributions, it assumes no liability with regard to the veracity of them and does not endorse their content. MPRE may at its sole discretion and without liability to the User, remove, edit any or all contributions and also disable access to any User. Notwithstanding the foregoing, MPRE will do so in the presence of violation of the law and applicable regulations, as well as in satisfying a competent authority's request. The User retains ownership of all rights, regarding ownership over their Contributions. MPRE is not obligated to treat Contributions as confidential. The User grants to MPRE a worldwide, non-exclusive, free, perpetual, transferable and irrevocable license to use, reproduce, modify, adapt, translate, distribute, publish, display, reproduce in public any contribution or user submission. In relation to the Contributions on the Site, the User grants MPRE the right to use the name of the User or the name specified upon insertion of Contributions and not to take position against the publication, use, change, cancellation and use of the contributions themselves made by MPRE. 7. Users will not provide Contributions that violate the law and the applicable regulation and, in particular, all the intellectual property rights of any third party, and so they accept to pay all the royalties, fees or other amounts in connection with any Contributions inserted on the site. To the extent permitted by applicable law, in no event shall MPRE be liable for any damages what so ever arising out of the use of, or inability to use, the website including but not limited to direct, indirect, special or consequential damages even if the Site has been advised of the possibility of such damages. There can be no third party claim for any direct, indirect, consequential, economic or otherwise, such as, for example, any claim to comprehensiveness of data, lost profits, actual damages, the loss of customers by interruption of business, loss of profit, damage to the image, any loss of opportunity, loss of information or data arising from or related to the access or use of the site, breach of contract and any other provisions of applicable law.